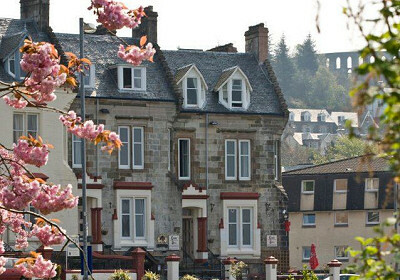 Corran House provides premier guesthouse accommodation and outstanding hostel facilities. We can offer anything from en suite guest rooms with stunning sea views to cheap and cheerful bunk rooms. Our accommodation is suitable for group bookings, individual travellers, families or couples. We have a spacious and well equipped kitchen for self catering, or you can order scrumptious bar food at Markie Dan’s pub below, or speak with us to organise a fully catered stay. Corran House aims to provide a comfortable homely environment for people to enjoy their time in Oban. We have an on-site bar offering great entertainment and bar meals. Larger groups wishing to eat together can be catered for downstairs in Markie Dans by prior arrangement. Guests staying at Corran House receive a 10% discount on meals in the bar.